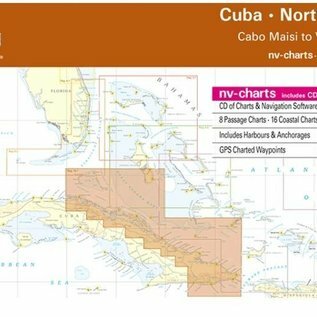 The nv-charts are characterised by fine contours and easy to distinguish colour graduations of the depth lines – turquoise for coral reefs, red for the 2-meter-line and blue for the 5-m-areas. 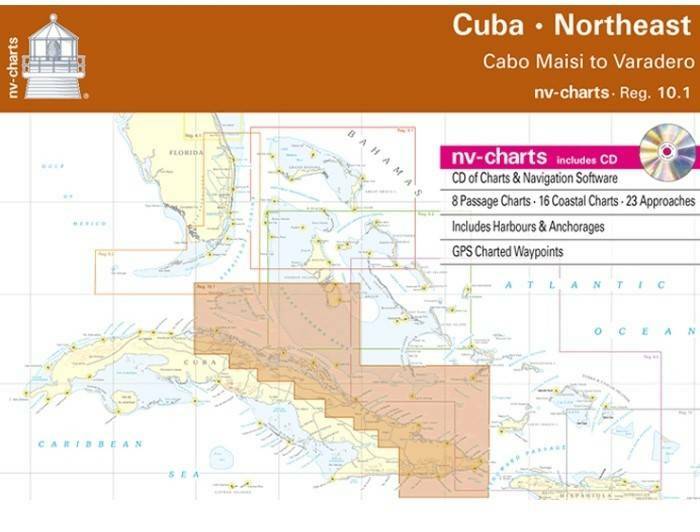 Presented in a handy, user friendly size, a thick plastic envelope protects the charts, enabling them to be easily stored.The importance of good graphical representation of the topography when sailing in the Caribbean is essential. Well marked rivers, towns and street plans all help to give a clear overall view of the shoreside facilities of the islands. Red numbered waypoints with coordinates based on WGS 84 enable yachtsmen to navigate using their GPS instruments. Heights and depths are given in the internationally accepted format of meters. Large scale approaches and land contour markings simplify the entrance into anchorages.